Peter ’82 and Bob ’84 Fioretti were the first to arrive at the North Pole in 2018, according to their guide. Peter ’82 and Bob ’84 Fioretti have explored a place that few others get to see. Brothers Peter ’82 and Robert (Bob) ’84 Fioretti have explored a place that few others get to see, one of the most solitary locations on the planet. In April 2018, at the beginning of that year’s expedition season, they trekked to the North Pole, a feat that fewer than 500 adventurers have accomplished in recorded history. The Fiorettis were the first to arrive at Earth’s pinnacle in 2018, according to their guide. So, for the 25th anniversary of their company, Mountain Real Estate Capital, the brothers decided to attempt the adventure in the most extreme way possible—no dogs, no snow machines, no resupplying plane support—just themselves, a guide, their skis, and sleds full of supplies that they pulled behind them. To prepare for the journey, the Fiorettis trained for three months—Bob in California, and Peter in Florida—doing leg and core work and pulling truck tires to simulate the 60-pound sled of supplies they each would haul. Mental and breathing training was also part of the program, according to the method recommended by Wim “The Iceman” Hof, world record-holder for 26 athletic feats in extreme cold. Their challenging journey began with a flight to Longyearbyen, Svalbard, Norway, the last outpost of civilization before the North Pole. There they participated in intense arctic training where they learned, among other things, how to manage their body heat using layers of clothing, camp in extreme cold, repel polar bears, and judge and navigate sea ice. From there, a decommissioned Russian military plane flew them three hours to Barneo Ice Camp, a temporary ice base created every year by Russian engineers and used mainly for tourist excursions. The ice camp is about one degree of latitude (or 69 miles) from the Pole. Peter, Bob, and their guide, Eric Lillstrom, were then helicoptered about 15 minutes from Barneo to their drop-point on the ice, where air temperatures were about -20 to -30 degrees even before factoring in wind chill. Their mission, which could potentially have taken up to six days, was to navigate the last half-degree of latitude (around 35 miles as the crow flies) by GPS to the North Pole. The trek was anything but a straight line. While the South Pole lies on a continental land mass, the North Pole is located in the middle of the Arctic Ocean amid waters that are almost permanently covered with constantly shifting sea ice. As the ice shifts, waterways known as “leads” can open up and pressure ridges are created. The leads can be 100 yards or five miles, and the ridges may be climbable at only a foot or two high, or up to an impassable 10 feet. “Every time you encounter a waterway, thin ice, or a pressure ridge, you have to make a choice about which direction to go—left or right. Eric was making hundreds of choices every day we were out there. We’re fortunate that they were mostly good choices,” Bob said. The Fiorettis trekked for three days over treacherous terrain to arrive at the North Pole. Another challenge was managing body heat, which was not just about trying to stay warm in the extreme cold. The plan was to ski for 90 minutes, take a 15-minute break to rest, hydrate and eat a snack, then ski 90 more minutes, on and off each day for seven to 10 hours until it was time to camp for the night. “You exert a fair amount of energy pulling your sled, and your body heats up so you pull off one or two of your three hats, maybe a pair of gloves or a jacket. You’re constantly taking off and putting on clothing to keep your body temperature at the perfect equilibrium so you didn’t get too hot or too cold,” Bob said. The adventurers got coldest on breaks when they stopped moving to rest and eat a snack, and their bodies focused all their energy toward digesting food. Sleeping was also a challenge. “We had this conception that the tent would keep you warm at night, but it’s really to protect you against the wind and snowstorms and doesn’t keep you any warmer than it is outside. Thank God for those sleeping bags rated for -70 degrees. I slept with two or three layers on my head—that’s the only part you can’t have inside the sleeping bag because that would create moisture, which would freeze and cause frostbite. Your body could be inside, but your head had to be out in the cold,” Bob said. The brothers both got a little frostbite on their faces and toes, but not enough to require medical attention. Fortunately, they didn’t fall through any thin ice or have to repel any polar bears, which Bob laughingly described as “good and bad news,” because who wouldn’t want to see a polar bear in the wild? Meals included hot cereal and dried fruit for breakfast, protein bars and dark chocolate for snacks, and a full cooked dinner each night with fresh supplies they’d bought in Norway. The team only had enough fresh food to last four days, which acted as their incentive to finish the trip sooner than the projected five or six it might have taken. The Fiorettis’ trek to the North Pole ended up taking three days—the fastest time in the 25-year history of Polar Explorers, the expedition company that arranged their trip. They were so close to the Pole on day three that they kept pushing, skiing a grueling 12 hours and 18 miles to be the first team to arrive at the North Pole in 2018. The brothers and their guide celebrated with a steak and wine dinner at the top of the world. The best part of the trip, according to Bob, was doing it with Pete. The two brothers have been best friends since their time together as undergraduates at Lehigh. Bob credits Lehigh as a great foundation for many of all three Fioretti brothers’ successes (including younger brother John ’86.) 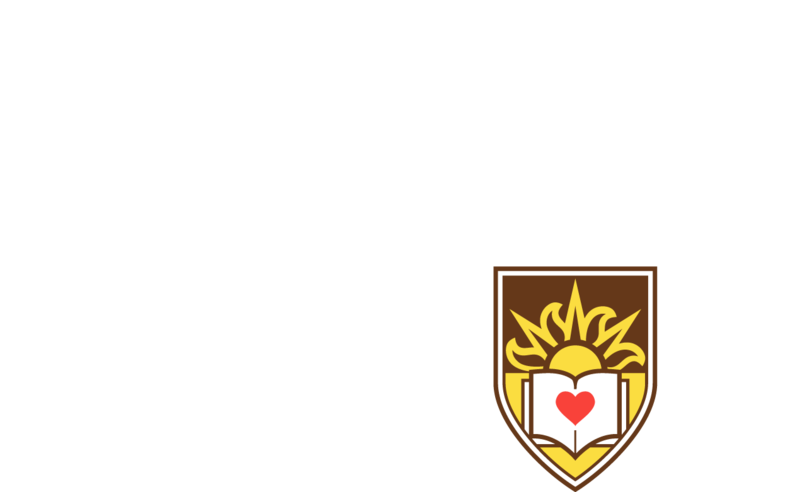 The Fiorettis are generous Lehigh donors, establishing the Fioretti Family Endowed Scholarship Fund in 1997.